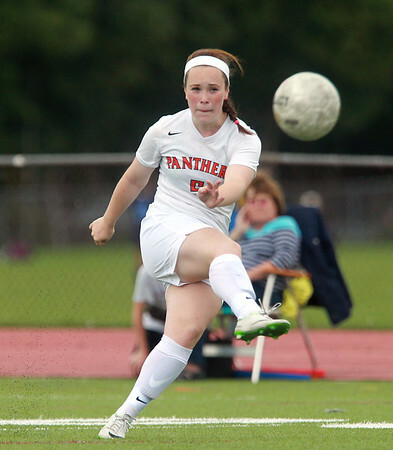 Beverly junior Sarah Visnick rifles a free kick just wide of the net against Peabody on Thursday afternoon. DAVID LE/Staff photo. 9/11/14.